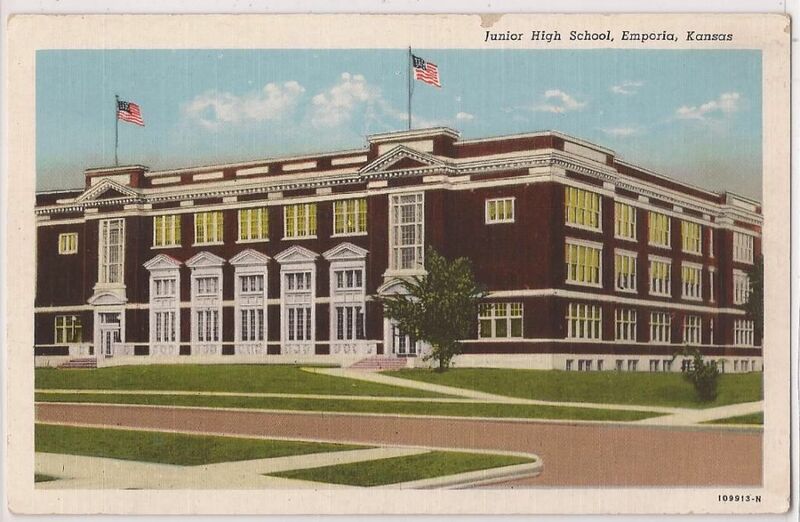 Overall, Emporia looks a lot better than it did when I moved to Kansas in 1996. You see, a restoration consciousness has slowly but surely spread across the city, like pixie dust being sprinkled from the sky by the Preservation Gods. …at some point the windows were replaced. 1980s? 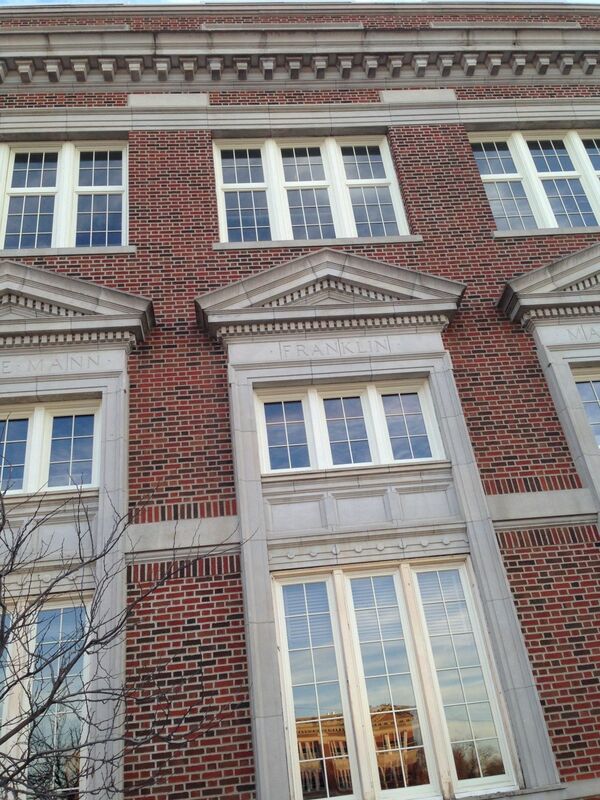 And while the original windows complemented the structure, the new windows were a jarring contrast. 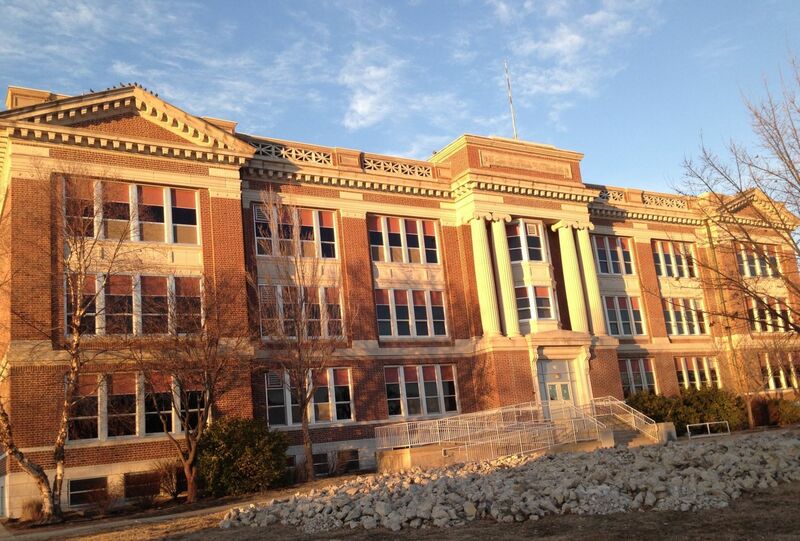 This is the junior high across the street. It, too, had lovely windows. It, too, had these windows torn out and replaced with the same what-were-they-thinking windows as were installed in the high school. Neither structure is a school still. 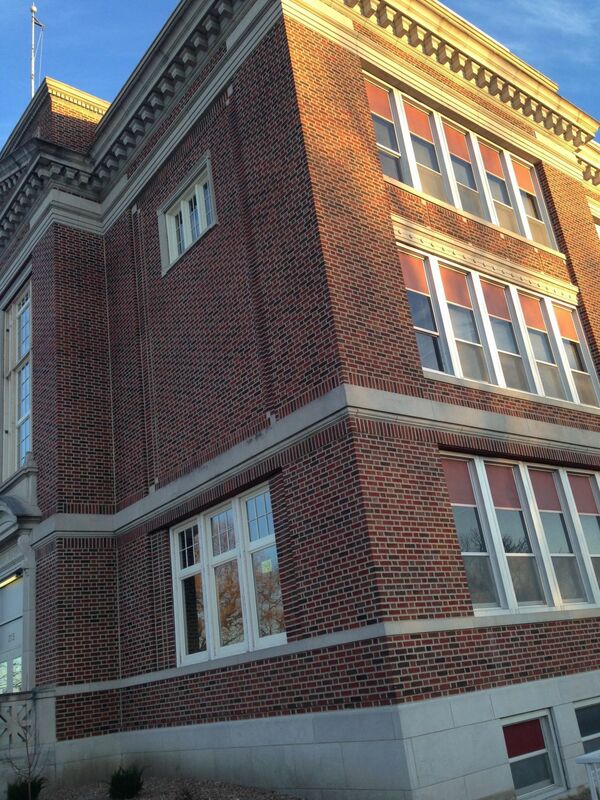 The high school is being converted into a hotel. 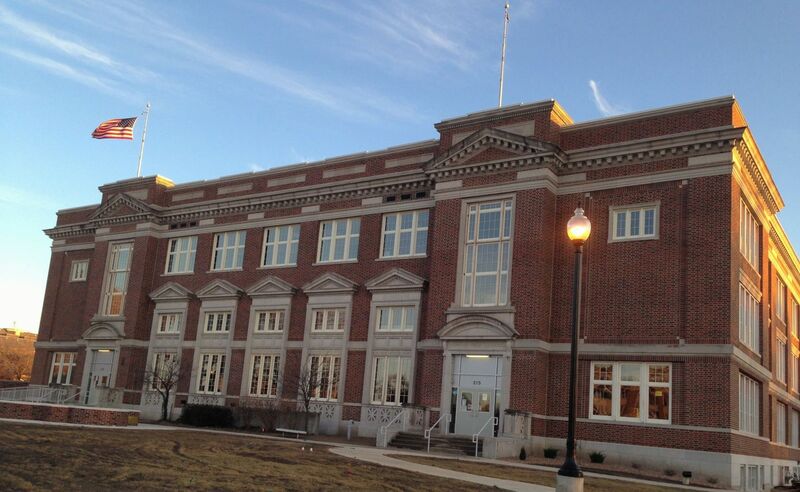 The junior high, above, has been converted into the Emporia Humanitarian Center. As part of this conversion, the what-were-they-thinking windows are being replaced with facsimiles of the lost originals. THANK GOD. LEFT: Good. RIGHT: Bad. Very bad. 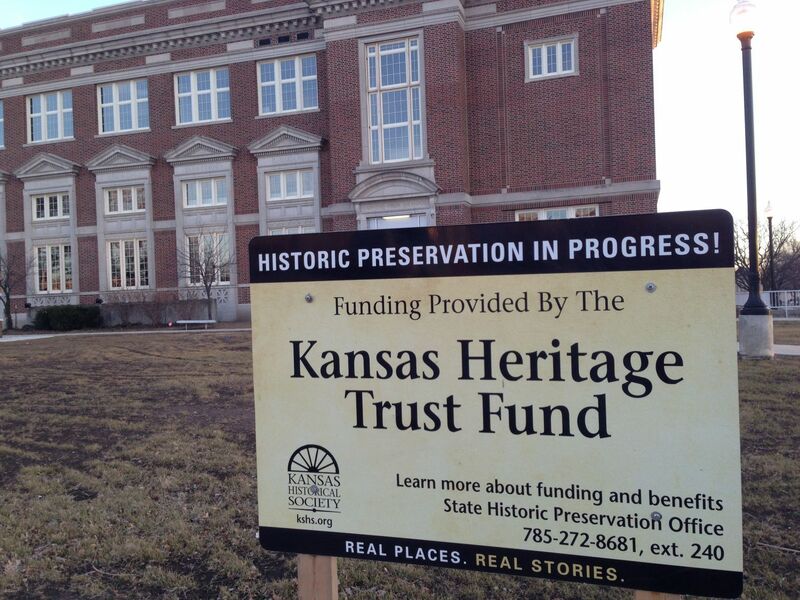 The Heritage Fund is funded from a small tax on each mortgage filed in Kansas. This collects about a million dollars annually. Then this money is given away to help restore structures on either the National Register, the Kansas Historic Register, or structures in a Kansas historic district. I cannot think of a better us of tax dollars. And every state should have such a fund. Projects such as this make Emporia better. It THRILLS me to see such work being undertaken, and warms my heart greatly. 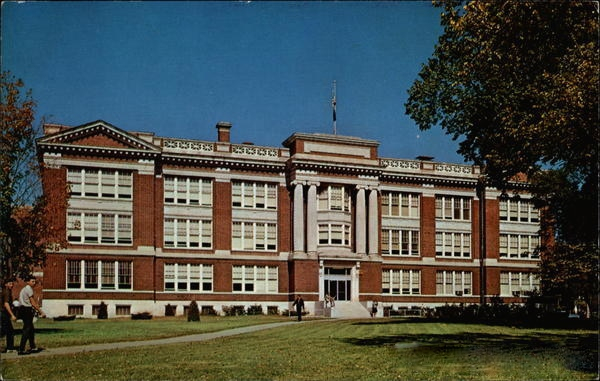 I taught adult education (GED) in St. Joseph, MO. The windows in all the schools were replaced sometime in the 1990’s, I think. I taught in a classroom on the north side of the building, and in the winter the wind would just pour in from those windows, as they were so poorly fitted, I guess.